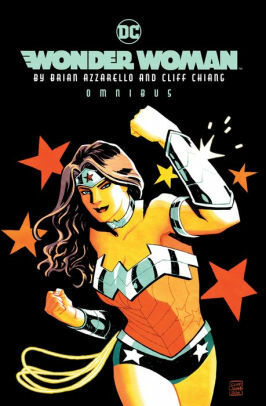 The entire run of writer Brian Azzarello (100 BULLETS) and artist Cliff Chiang's (PAPER GIRLS) bold new imagining of one of comics' most iconic characters is now collected in its entirety in his giant-size omnibus edition! Raised as a daughter by the Queen of the Amazons, the warrior princess called Diana is different from the rest of her countrywomen. They've all heard the legend of how she was formed from clay to give the childless queen the daughter she dreamed of--and they treat her like an outsider and outcast because of it. But Diana is different than everyone else, just not for the reasons everyone thinks. It's because she's the daughter of Zeus. With a new cadre of brothers and sisters as allies and enemies, Wonder Woman's world is rocked to its core when her eldest brother, the First Born, was freed from his slumber. Her newfound family is in ruins and her friends scattered, she must turn to Orion and the New Gods of New Genesis to save herself, her newborn brother Zeke and his mother Zola from the First Born's wrath.